Sara Saltee is an assemblage and collage artist who has lived on Whidbey Island since 2005. 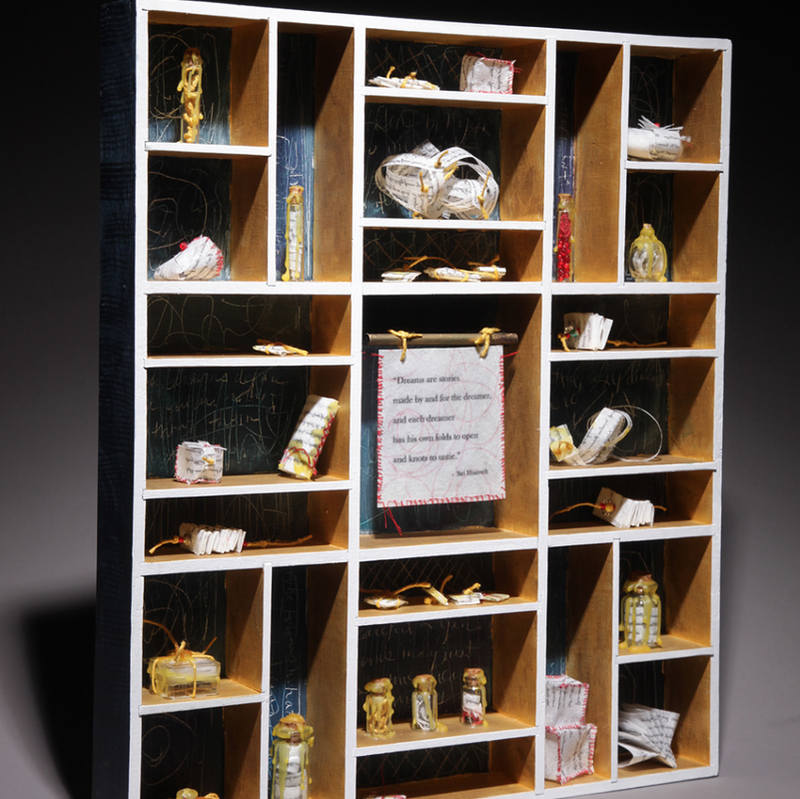 Her one-of-a-kind shrines and shadowboxes express a poetic sensibility, often taking an intriguing quote, lyric, or found snippet of text as a starting point. Sara explores and elaborates layers of meaning within a central idea through careful manipulation and arrangement of objects, ephemera, paints and papers – creating highly tactile and harmonious little worlds. Drawing inspiration from the Mexican shrine traditions she encountered growing up in New Mexico, as well as from European traditions of reliquary and curiosity cabinets, Sara’s artwork reflects her fascination with themes of identity, nurturance, and freedom. Sara is also a creativity coach and writer who helps people design lives that honor and express their creative selves.